There are many changes happening in China. If you have been following things you have probably seen information about the new National Regulation regarding orphans. 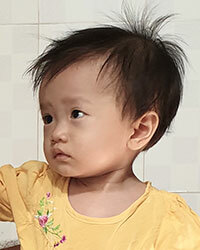 The National Civil Affairs is requiring that all children must return to their orphanage. They may go to another city for temporary medical care/surgery but once that is completed they must return. This means that ALL the children we had been caring for in Beijing had to return to their orphanage. It was a very difficult time for all of us (many tears were shed) and for the orphanages. Many of the orphanages are overwhelmed with all the children that returned. Stay tuned as we learn to navigate these new waters.